Recently I was at a party where I was talking to a friend who was born in a foreign country. We were talking about family, and she was telling me that her father had two birth certificates: one saying he was born in that country, and the other saying he was born in a US territory. Why did her father have two birth certificates? My friend explained: her father was actually born in the US territory and had that birth certificate. Once he married and started a family in the new country, the family wanted to move into an apartment in a much better neighborhood. However, to get into this new neighborhood, you needed to be “in” with the right people. And the right people only wanted to deal with those born in that country. So the father knew a guy who was able to get him what looked to be a valid birth certificate that stated he was born in that country. He got the birth certificate, which got him the apartment. Now, imagine that you are a descendant of this man a hundred years from now. You are researching him and find two different birth certificates, but which one is correct? Say you do ascertain that the US territory certificate is correct; the question remains why there is another certificate? Maybe you ask yourself if this is even the same guy. My point is that this is something that can really only be fleshed out with a family story, whether that be oral history or something written down. Lately, I’ve been learning a lot from my uncle and my mom about my maternal side of the family. They’ve been telling me stories about what their grandmother’s house was like, what certain cousins were like, how they were raised and certain events. These stories will never be in newspapers, DNA or vital records; they only come from the people that lived them. What stories are in your family that need to be preserved? What seems to be mundane now that may interest future generations? Think about them, write them down, pass them on. But first: talk to your family and discover those stories! All these years, I believed that my great-grandparents John and Anna Biliunas just lived on some nondescript potato farm in Riverhead, New York. Little did I know that it was so much more! Recently my maternal uncle and I were exchanging emails and he was giving me various pieces of information that I could follow up on for our family history. He told me that he thought he saw somewhere that the Biliunas house was on the National Register of Historic Places. WHAT?? Hallock-Bilunas Farmstead. Courtesy Wikimedia Commons. The article also gave some good historical background of the house, but also threw me for a bit of a loop with this sentence: “The Herricks Lane land belonged to Lemuel B. Hallock, and was later sold in 1940 to John Bilunas, a potato farmer.” This directly contradicted my original finding in a 1912 newspaper that Mary Hallock sold the farm to Anton Urnezis (Anna’s first husband, who died within the next couple of years). The U.S. Census always showed the Biliunas’s on Herricks Lane; so what was the story? I did have the correct Lemuel: the obituary talked about him having lived on Herricks Lane. It also provided key information: he did have a wife named Mary and they lived in Mattituck “for the past 26 years” (which coincides with the 1912 sale of the farm). I wondered how Mary would have been the one to sell the farm. The 1912 newspaper stated it was sold by “Hallock, Mary &ano.”; obviously she was not the only person on the sales side. So why wouldn’t the sale have been “Lemuel &ano.”? I think one key fact in the obituary may lend a clue: Lemuel was deaf! Perhaps Mary, being able to hear, carried out the transaction on behalf of both of them. So where would the 1940 date have come from? The only thing I can think of is perhaps that is when the mortgage on the farm was paid off; the time frame certainly makes sense. In any case, this ancestral home is a historical site (although not open to the public). That is pretty cool. 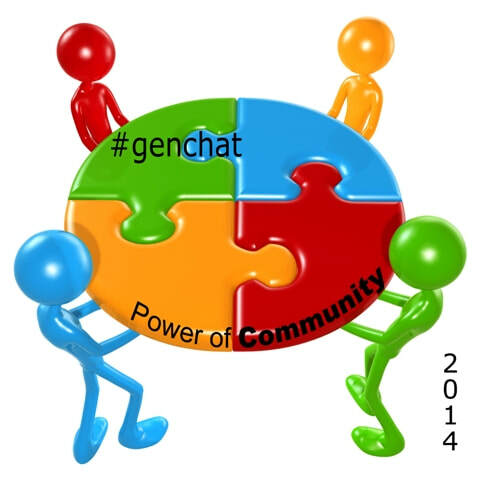 As you probably know, I’ve been involved in the popular genealogy Twitter chat, #genchat, since its beginning in 2013. Which means that as of this month, #genchat turns five years old! Late last year, #genchat’s host Jen Baldwin asked Kale Liam Hobbs (aka “Sir Leprechaun Rabbit“) and I if we might consider taking over hosting. Jen was looking to focus more on her own genealogy, writing and family at this time, but didn’t want to see #genchat fall to the wayside, since it had benefited so many. After our initial shock 🙂 we decided that yes, we would take this on. 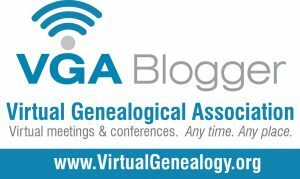 You can still view the schedule on genealogygenchat.com (we’re working on getting the calendar working again). As you can see, we have lots of guest hosts with some exciting topics to cover, and 2018 looks to be shaping up to be the Year of the Archive. Please join us again on January 19 when Christine Woodcock will be talking to us about “Planning Your Ancestral Tour”. #genchat starts at 10pm Eastern, 9pm Central, 8pm Mountain, 7pm Pacific, and as usual, Treeverne (our virtual bar) opens a half hour beforehand for some casual conversation. Always remember to use the hashtag (#genchat) in each tweet so that we can be sure to see you*, and for each question (Q1, Q2, etc. ), answer with A1, A2, etc. to make the conversation easier to follow. *For some reason, not all tweets are showing up on the tchat.io platform, so you may want to try TweetChat, TweetDeck or another Twitter chat platform.